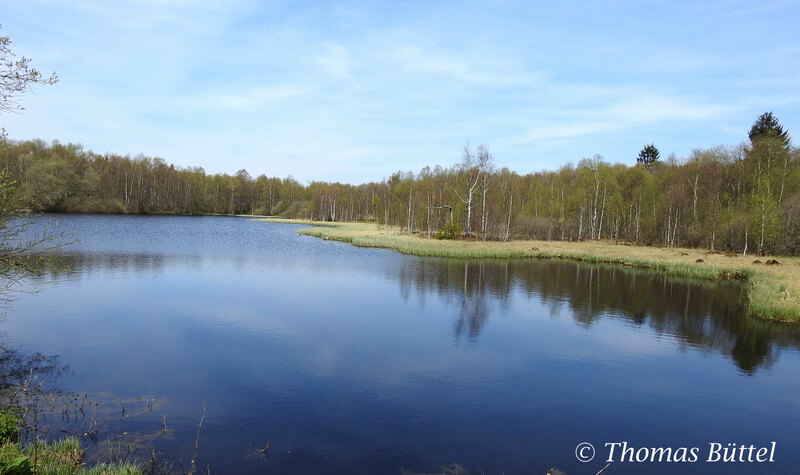 Eventually, the day has come that I had enough time to visit the nature reserve "Lange Rhön" again. 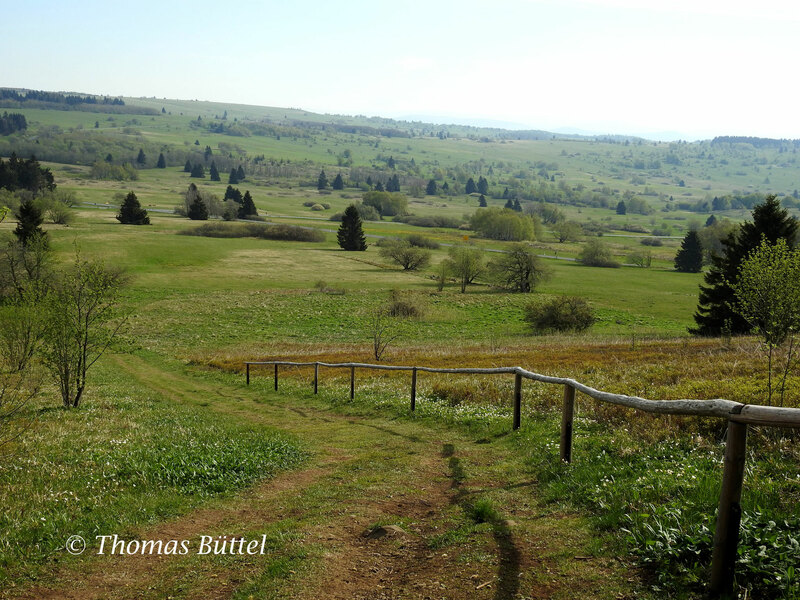 The large plateau in the border triangle Bavaria - Hessia - Thuringia is definitely among the best birdwatching sites of Franconia and beyond. I had awaited this day for a long time, since my last visit was rather disappointing because back then not many birds were visible in the fog. My plan was to arrive early so that I might still have chances to see displaying Snipes and Woodcocks, but I had underestimated the driving time and arrived very late at the parking ground at 08:30. 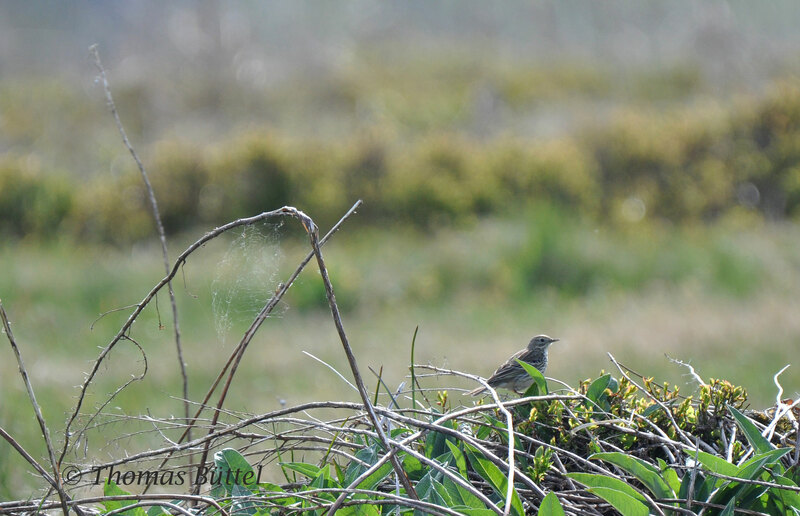 Here I met another birder, who was just about to leave the site. 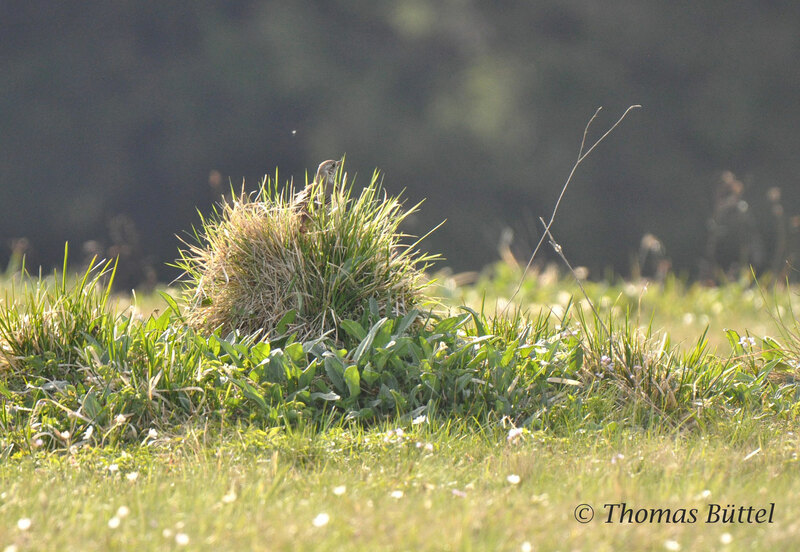 He told me that he had actually seen displaying Black Grouses! Of course, I had no luck with the latter (which had to be expected), but nevertheless I had some really enjoyable hours with altogether 50 species. 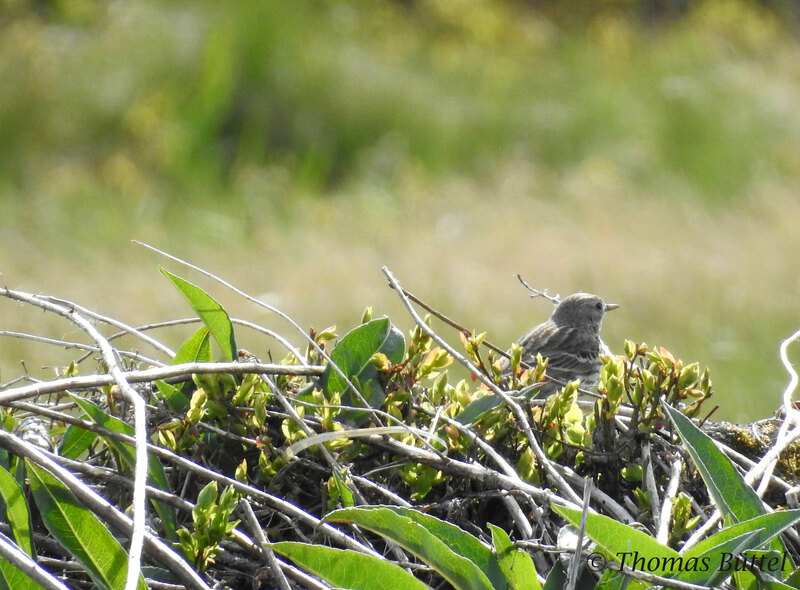 Indeed, many of my target species like Great Grey Shrike, Stonechat and Honey Buzzard didn't work, but still it's amazing to find at seemingly every place dozens and dozens of Meadow Pipits, Tree Pipits and Skylarks. 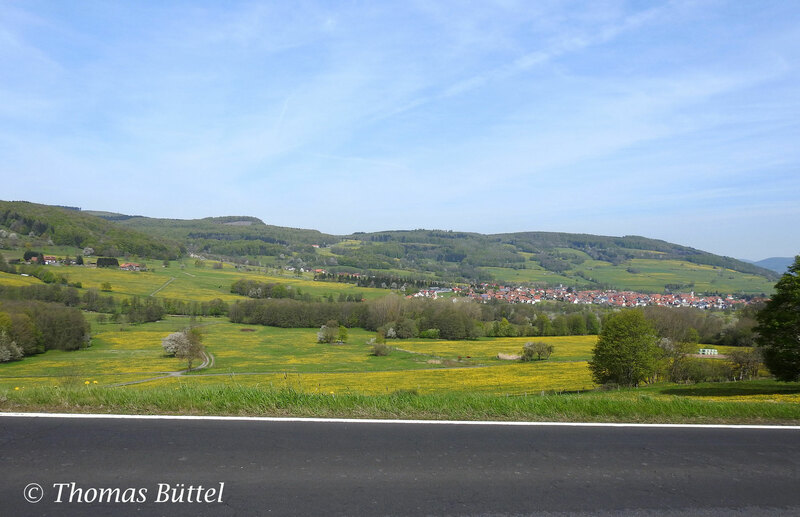 At first I started off in the direction of "Heidelstein" and turned then left to the monument "Schwabenhimmel". The latter is surrounded by a nice bushy area, where I found my first Marsh Warbler of the year. Even though there were mostly only common species the scenery was just magnificent and a fair return. The picture above is taken from the path at the monument. Afterwards I took the opposite direction, which leaded me through a spruce wood, where I saw my first Common Crossbills of the year. 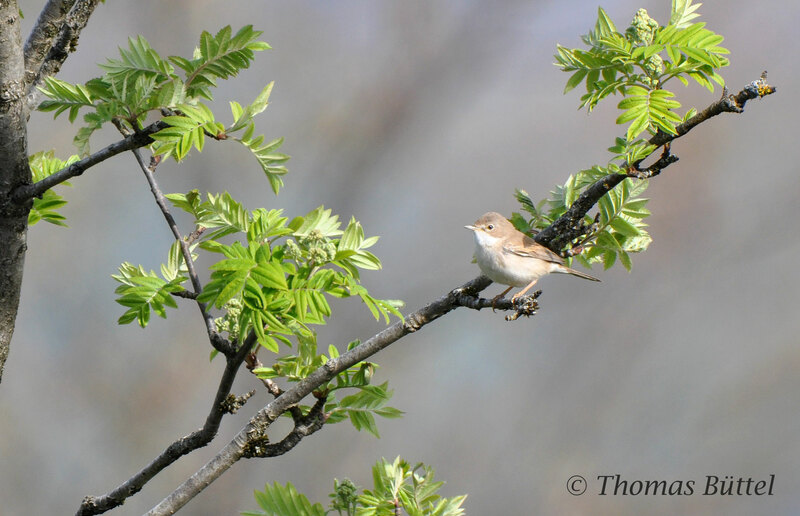 Despite hearing them regularly in the woods around Bamberg it's very difficult to actually observe them. 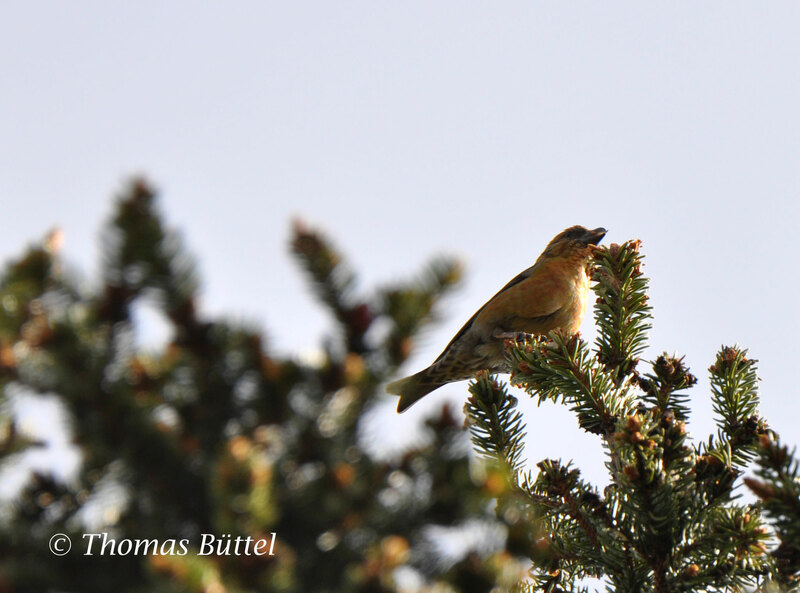 So I was really pleased to have a picture of the male below. At the meadows after the wood the usual birds mentioned above could be found again. 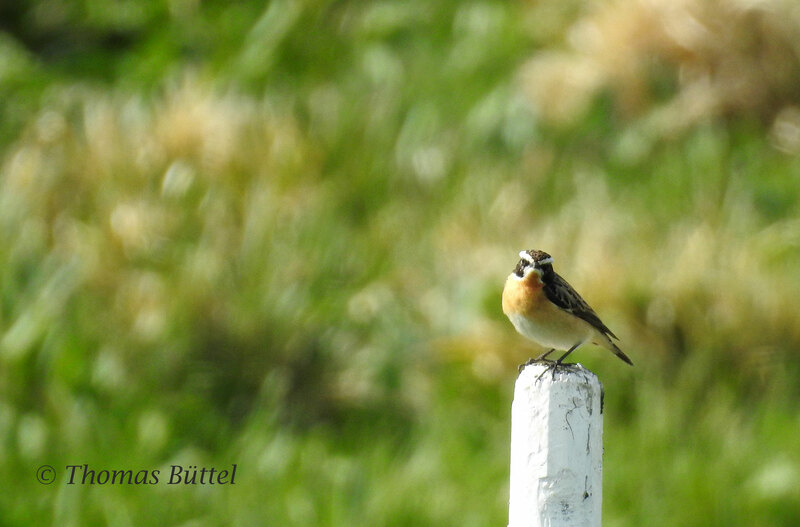 Furthermore, they were joined by four Whinchats, an alarmingly fast declining passerine of the cultural landscape, which is yet rather common in the Rhön. Of course, also on this path the landscape was always stunning and rounded the birding experience perfectly off. For those who you have purchased or downloaded the guide I have additional information at this point: When you take Route II, you shouldn't go back along the street as it is really no fun to walk half an hour uphill while cars are driving next to you. Finally, the last site I visited was the "Rotes Moor" on the hessian site of the Rhön. Unfortunately, it was already noon and so the birds were rather inconspicious. 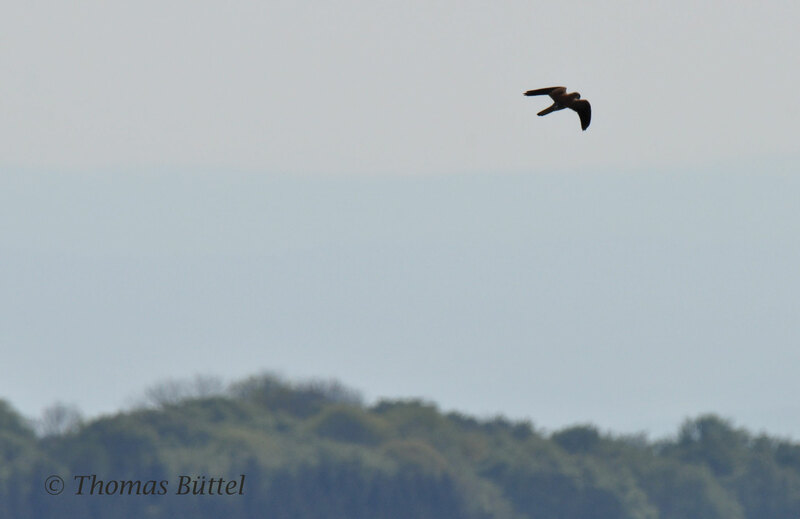 Still I encountered my first Eurasian Hobby of the year, so the additional two hours were worth the effort. 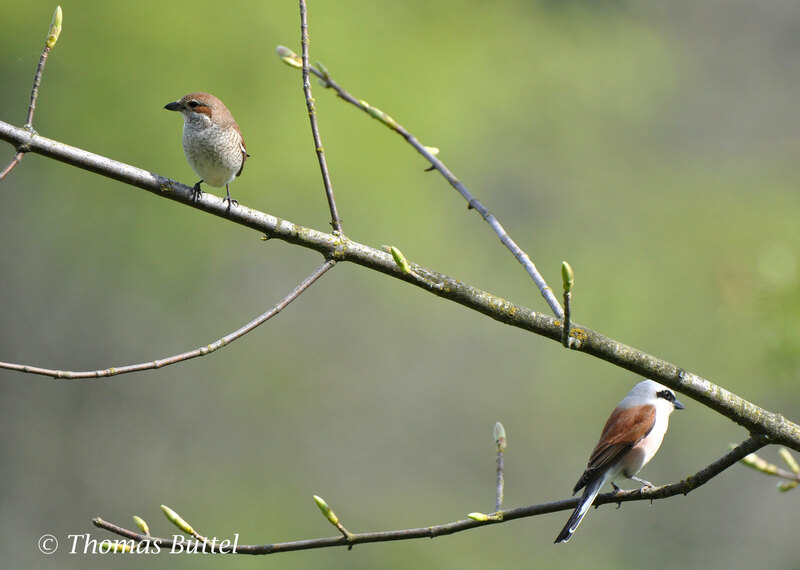 My favourite photo is the one of the Shrikes -- very nice!